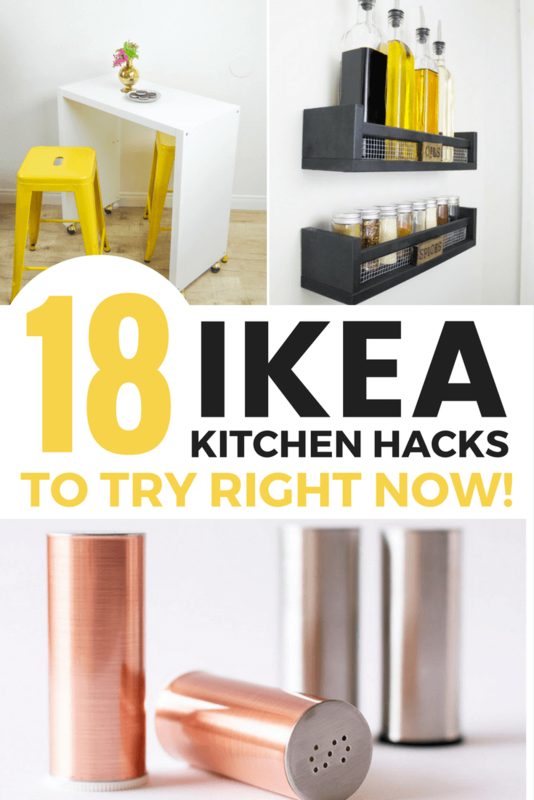 These simple IKEA Kitchen Hacks are the perfect way to give your kitchen a customised feel on a budget! Be sure to click through to all the tutorials below and give them some love! 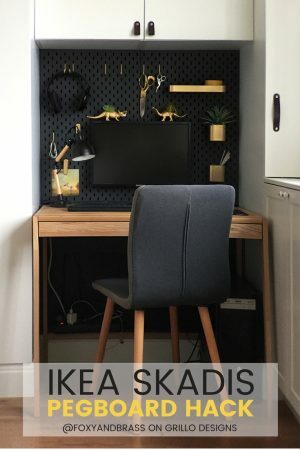 I know… I’m back with another roundup of IKEA projects! 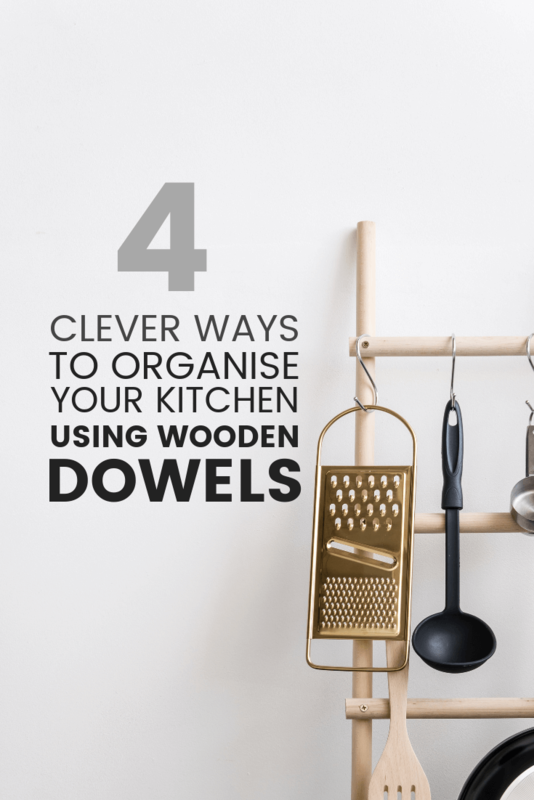 Whether you’re tackling a cluttered cupboard or trying to figure out storage solutions for a small kitchen, you’re sure to find something inspiring here! 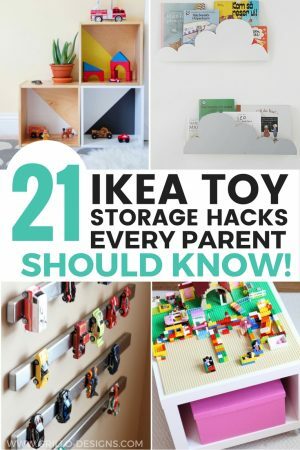 If this is your first time visiting, you can check out some of our other IKEA hacks post here. 1. IKEA Kallax turned Into a kitchen island. This couple couldn’t find a kitchen island that fit their space, so they made one out of a Kallax bookshelf! Just wait until you see what they used to make the countertop! Genius! 2. DIY burned IKEA cork trivets. 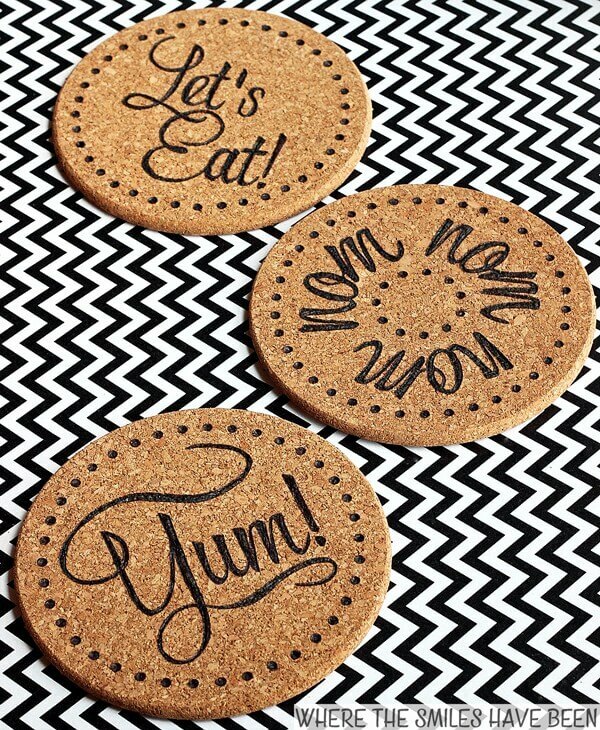 Customised cork trivets like the ones pictured here can bring pizzaz to any kitchen table! These would also look perfect in my Dining Room! 3. DIY Industrial copper barn lights. 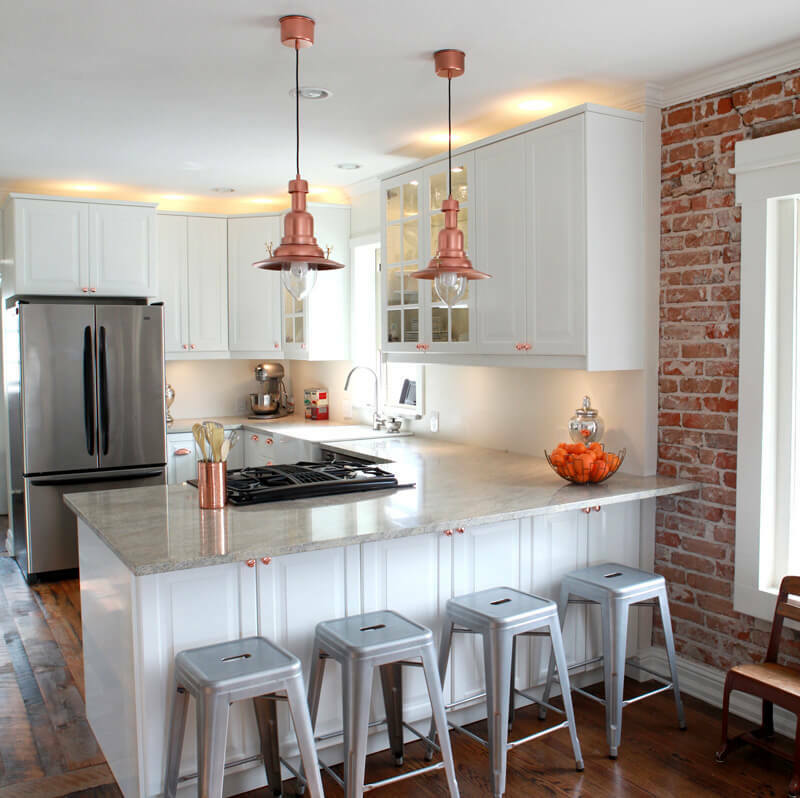 Want to get that Fixer Upper look for your kitchen lighting without the price tag? Look no further, because this IKEA lighting hack is just what you need! 4. Rustic farmhouse style spice rack. 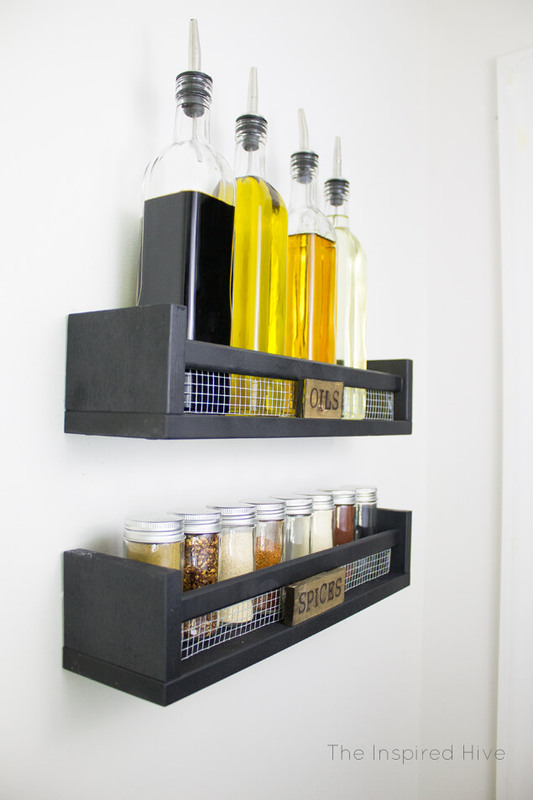 I love this Ikea kitchen hack, because it not only provides a way for you to display your oils and spices together, but it saves space in your cupboards for other things! 5. 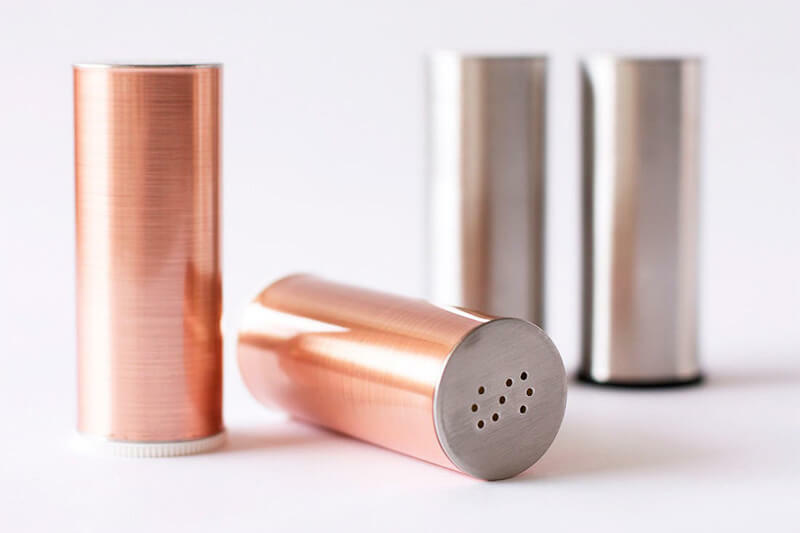 DIY copper salt + pepper shakers. 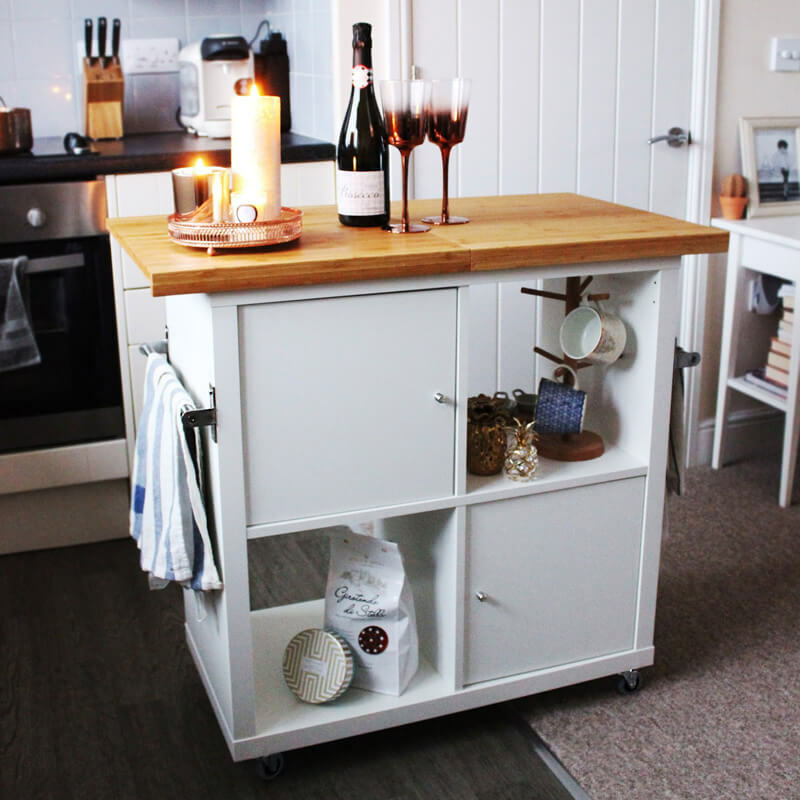 This simple Ikea hack is not only stunning, but it doesn’t even require any paint! Do you have any guesses as to what method they’re using to get the end result? 6. IKEA Fintorp rail hack for kitchen counters. 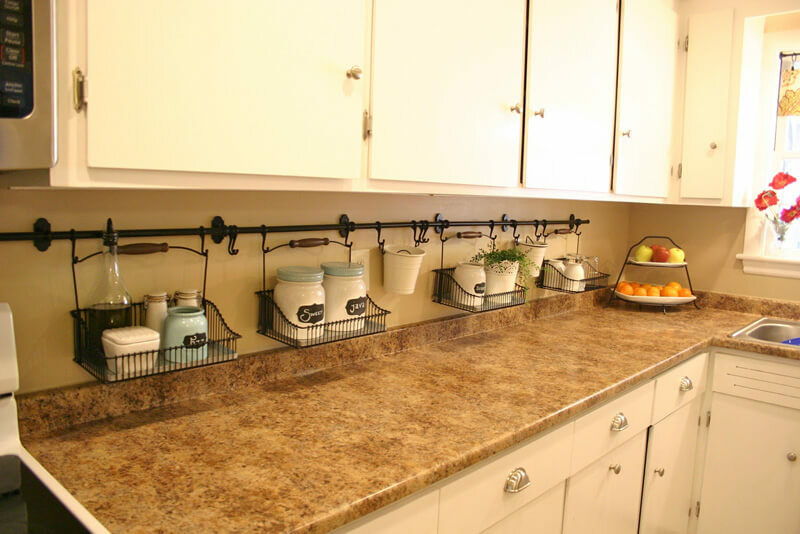 Do your kitchen counters tend to get cluttered? Then perhaps you need this adorable solution to get things organized! 8. 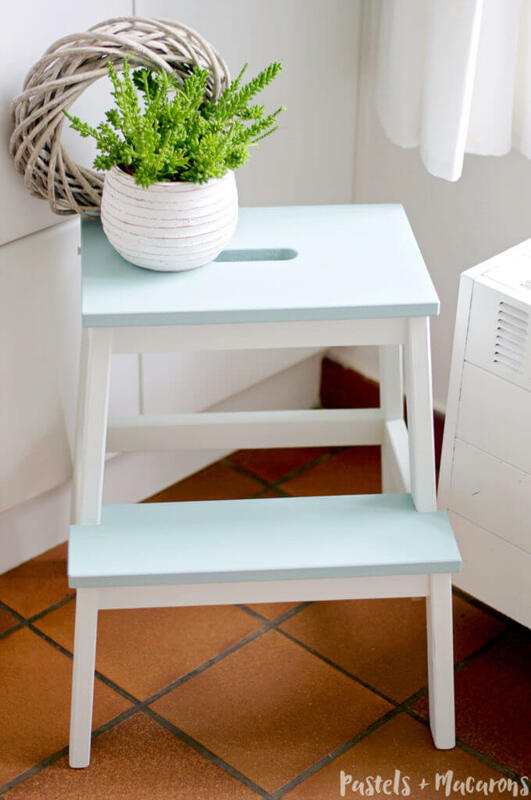 IKEA Step Stool Makeover. 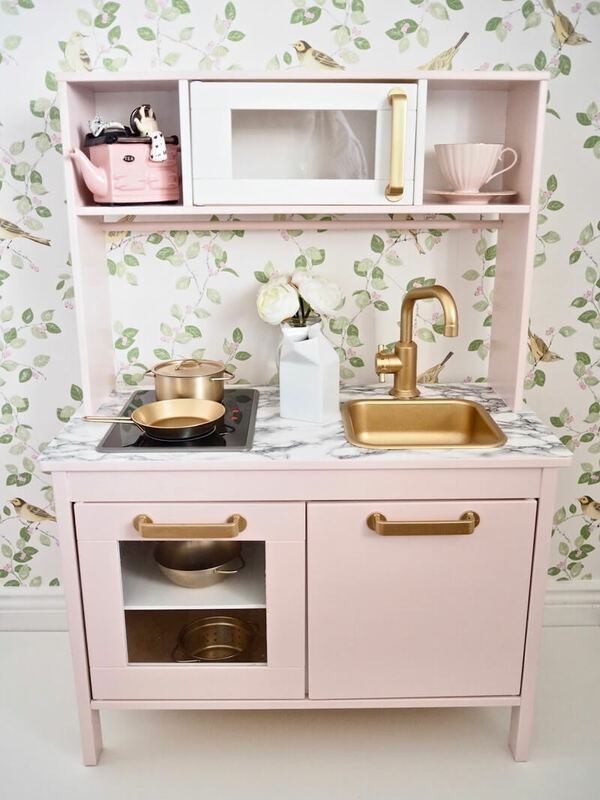 Now this is a step stool I’d be glad to see hanging out in the corner of my kitchen! How cute is this thing? Pretty handy too if the little ones might want to join in with the cooking! Oh wow, there are some really great ideas here! I love the idea of the copper salt and pepper shakers. Great roundup!